At the time, the operation of a motorway, free of traffic lights, baginning from Vrilissia area and reaching to Athens brand-new airport "El. Venizelos" in Spata, was a great achievement. In the same year, 2001, the discussion about the extensions of the motorway had already opened while Athenians were not even familiarized with the concept of such projects. These plans would remain unimplemented for many years to come. After alterations in the original planning of the extensions, almost a decade later, in 2010, with the change of Government, a third change was introduced in the extension package and in 2013, yet another plan with three extensions was proposed. These were towards Lavrio Port, Rafina Port (along with a road connection to the airport "El. Venizelos") and the extension of Hymettus western ring road to Vouliagmenis Avenue, in the area of Elliniko. Nevertheless, from 2009 to 2013, as the country was in the middle of the financial crisis, traffic on Attiki Motorway had fallen from about 300,000 vehicles/day to less than 200,000, once again, freezing the plans. From 2016 onwards, a new discussion was re-initiated concerning the prioritization of the needs for the extensions of Attiki Motorway. The current Minister of Infrastructure and Transport, Mr. Christos Spirtzis, gives the concessionaire the green light for the elaboration of the extension studies. The new package includes the extensions to Rafina and Lavrio, the extension of Kymis Avenue up to Athens-Thessaloniki motorway axis, the extension of Hymettus western ring road to Vouliagmenis Avenue, all required precursorsy works as well as the extension of Suburban Railway to Lavrio. At the same time, a new discourse has commenced on whether the existing concession contract should be extened or a new tender to be launched. Nevertheless, in 2019, Mr. 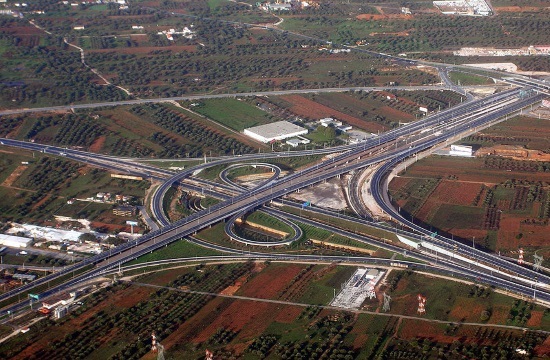 Spirits said that the extensions of Attiki Motorway will be carried out with a new tender. It is noted that a similar statement has been made by Mr. Kyriakos Mitsotakis, the leader of the major opposition party, New Democracy. Presently, the 4th effort for the implementation of the extension of Attiki Motorway remains theoretical with the relevant decisions waiting to be taken, most likely, after the national elections, later this year. Today the extensions of Attiki Motorway are in the spotlight due to the increase of the traffic load on the axis itself but also the general upward trend in other major axes of the capital, making the project viable and therefore feasible to be funded. Its cost is estimated at over 1.5bn euros while the extension to the regional ports of Attica (i.e. Rafina and Lavrio) is considered to be of strategic importance due to the simultaneous expansion of the Suburban Railway. Katechaki-Vouliagmenis Urban Tunnel is also regarded to be crucial because of the upcoming investment in Hellinikon, while the extension of Kymis Ave. is expected to relieve traffic significantly on Kifissos Ave, too.